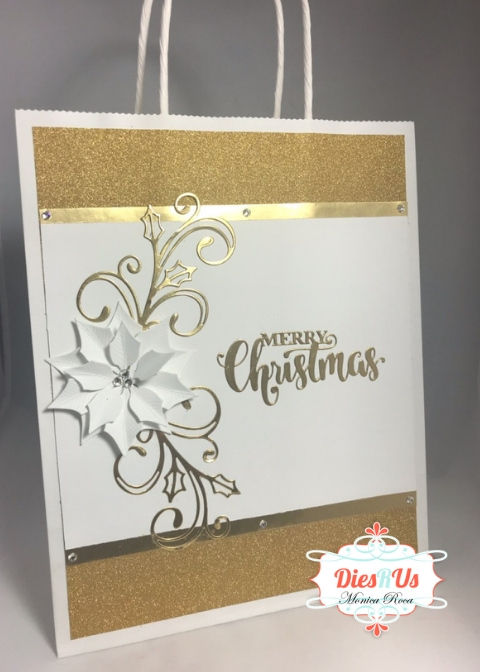 Monica here, I'm back on the blog today to share some quick and easy Christmas gift bags. With Christmas right around the corner I am finishing up all of my tags, bags, boxes and more so I thought I'd share the most recent bags I created with you. 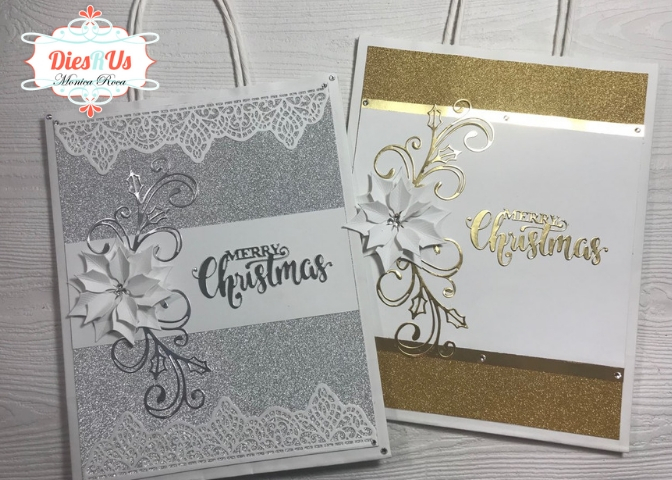 All it takes are a few quick die cuts and a bag and voila you are done! I have a quick youtube video for you where I go over all of the details and products that I used below the photos for you. 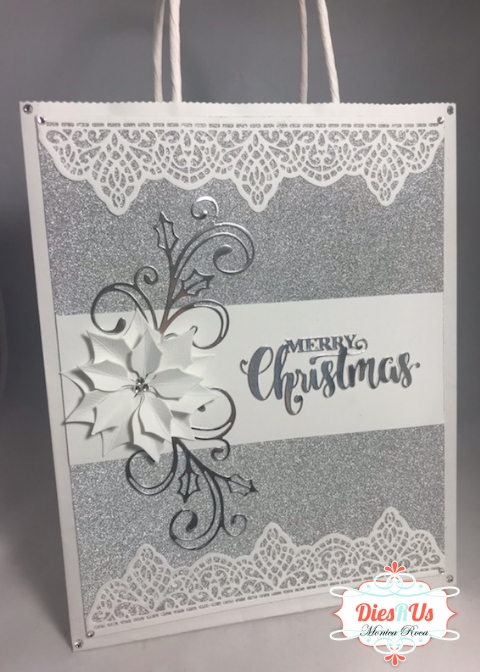 These are fabulous gift bags! WOW! These are just GORGEOUS Monica! Awesome inspiration ... thanks! These are just gorgeous gift bags!